The Milwaukee Art Museum (MAM) features over 35,000 works of art in its collection, making it one of the largest such museums in the country. Originally established in 1882, it moved into part of its current building in 1957 and expanded in 1975. By 2001, the museum opened its distinctive, world-renowned expansion designed by Santiago Calatrava – his first commissioned project in North America. Officially called the Quadracci Pavilion, the soaring, movable brise solelil “wings” span 217 feet when open. The wings are designed to fold down over the windows of the pavilion, shielding it from sunlight or inclement weather. 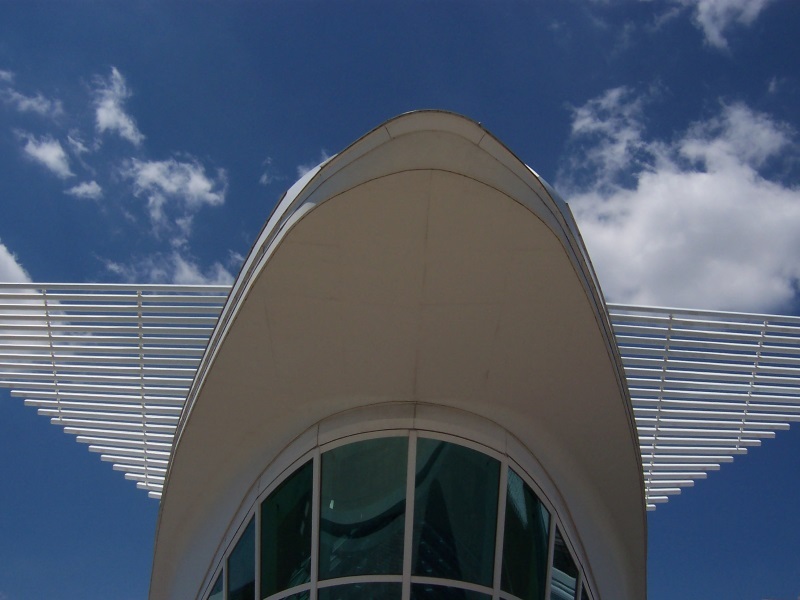 This part of the museum has become iconic, serving as a symbol of the cit; many residents to refer to the building as “the Calatrava.” Another expansion in 2015 added 30,000 square feet to the facility. The Milwaukee Art Museum was named “Sexiest Building in the World” by Virtual Tourist in 2010. It’s a popular filming locale for commercials from Porsche to Victoria’s Secret; it also made a cameo in the opening of the movie Bridesmaids. The MAM’s 35,000 works of art are housed on four floors, ranging from 15th century antiques to present-day works. Included are paintings, sculpture, prints, drawings, decorative arts, photographs, and folk and self-taught art. Furthermore, their collection of American decorative arts, German Expressionism, folk and Haitian art, and American art after 1960 rank among the nation’s highest. Along with these works of art in their permanent collection, the Milwaukee Art Museum features top-ranked national exhibits, lectures, presentations, and events under the Wings. Also, the Kohl’s Art Generation Open Studio inside the Museum lets everyone from kids to grown-ups generate art of their own on weekends and the first Thursday of each month. Georgia O’Keeffe is a Wisconsin native, born in Sun Prairie; consequently, the Milwaukee Art Museum features one of her largest collections. Another Wisconsin native, architect Frank Lloyd Wright, also has a number of works featured. Other especially relevant artists include Gustave Caillebotte, Nardo di Cione, Francisco de Zurbarán, Jean-Honoré Fragonard, Winslow Homer, Auguste Rodin, Edgar Degas, Claude Monet, Henri de Toulouse-Lautrec, Pablo Picasso, Joan Miró, Mark Rothko, Robert Gober, and Andy Warhol. While exploring the museum be sure to check out the very life-like Janitor, designed by Duane Hanson in 1973. Maybe marvel at the Lake Michigan view various locales within the facility, or have a bite or beverage in their lower level cafe while you take a break. You can even explore the parking garage that has inspired luxury car commercials. Enjoy a nice walk or bike ride (rentals are available) around the museum and along the lakefront or downtown. Lakefront trails, Veterans Park, and adjacent sights like Discovery World, the Betty Brinn Children’s Museum, the U.S. Bank Tower, Henry Maier Festival Park (home of Summerfest), Lakefront State Park, and the Historic Third Ward all beckon. 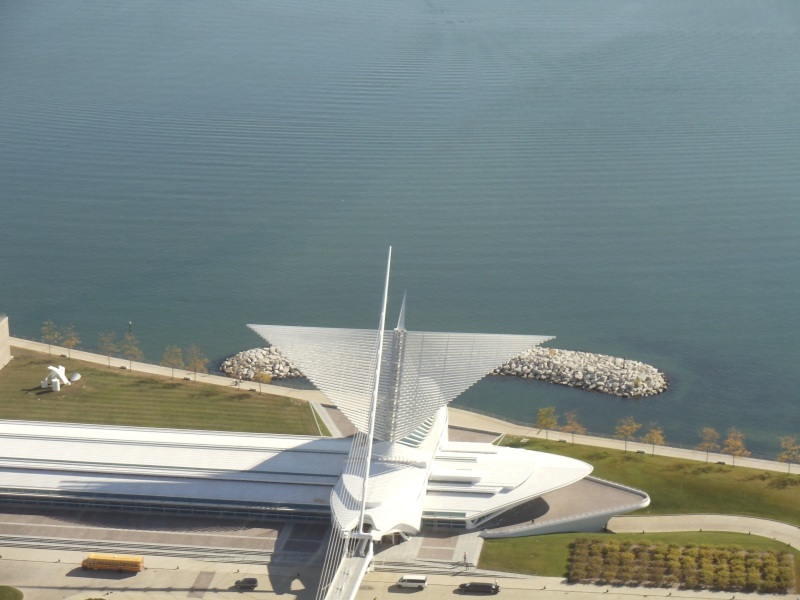 You’ll find the Milwaukee Art Museum where U.S. 18 ends at Lake Michigan. I-794 and Highway 32 are within blocks. Also, I-43/94 and Highways 38, 59, and 145 all bring you within a mile.